The Frankfurt Motor Show has demonstrated that the future of family cars is an exciting one, regardless of your budget. Here are our 10 favourites, covering the breadth of the family motoring spectrum from a compact crossover to futuristic super saloons. You know the drill: Alfa Romeo shows a beautiful car, people say it’ll revive the brand, it turns out to be rubbish. 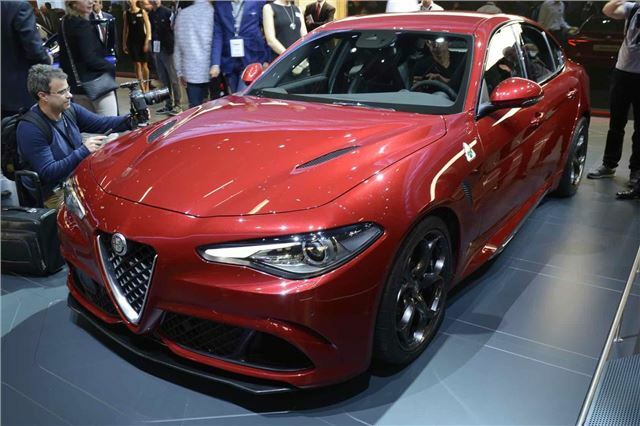 Well, enjoy phase one while it lasts, because the new Giulia certainly is beautiful. And if it works properly, it definitely could revive the brand. Success is anyone’s guess, but it’s rear-wheel drive, the interior is truly lovely, and the top-of-the-range QV version shown in Frankfurt hits 62mph in 3.9 seconds.